You read that right 🙂 I told you I’m not missing out on Cinco de Mayo again this year! With all this recipe testing I think I’ve celebrated the holiday ten times over (and after this one, ten pounds over..hehe). 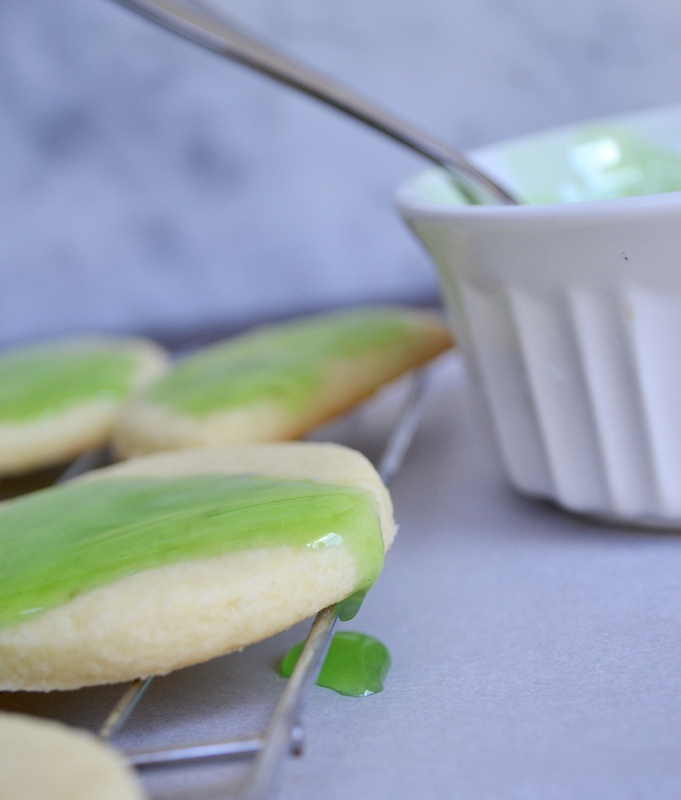 These margarita cookies don’t disappoint and with the vibrant tequila lime glaze they are ADDICTING! Break out the tequila and get to baking. I had glaze on a baked good for the first time last summer during our summer party when I made these Sugar Cookie Fruit Pizzas. It was so yummy that I think I ate about half of these. I’ll admit I hadn’t originally planned to do a glaze but upon baking my first batch I just wasn’t getting the hit of tequila and lime that I was hoping for. The glaze brings it in abundance! As I was in the process of starting to cut my cookie dough I realized I could get more out of my dough (and less time re-rolling) if I did half moon shapes around some of the edges. 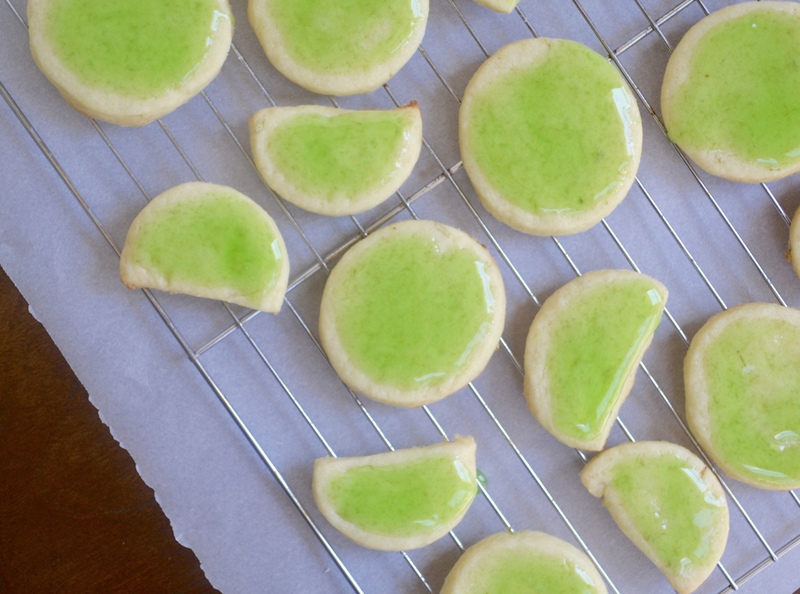 These actually turned out to be super cute given that they are “lime” inspired cookies. Nope, I’ll just stick with the glaze! It kind of resembles Ghostbusters doesn’t it? I know, but once it is smoothed out over the cookies it lightens up. You can also play around with your food coloring options to adjust the severity of your green. And be sure to put some wax paper or parchment paper under your wire rack before you start glazing because man is it sticky and a pain in the patooie to try to get cleaned off a countertop! Don’t forget that salt topping y’all! 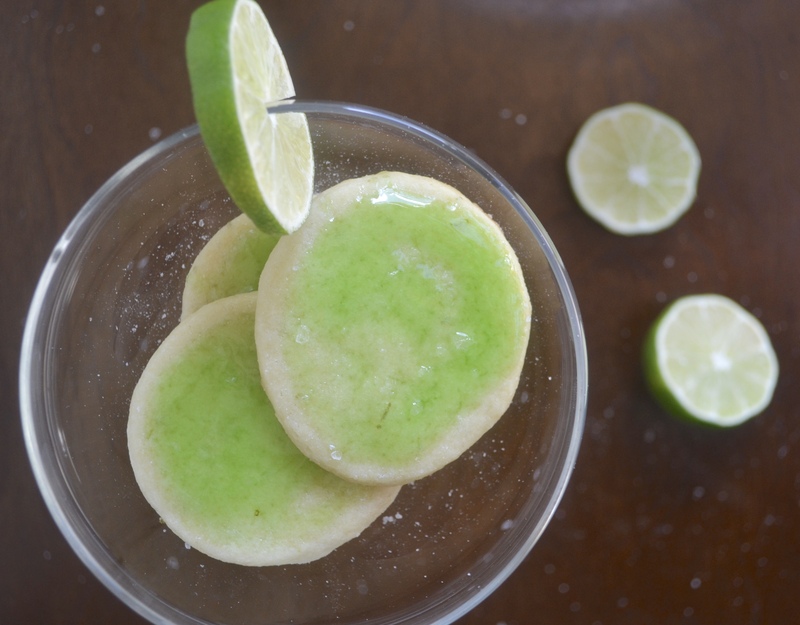 Just a sprinkle goes a long way but is totally necessary for that perfect margarita cookie. Cream butter and sugars until fully combined (be sure to scrape edges of mixing bowl). Add in egg, tequila, lime juice and zest. Mix until fully combined. In small amounts, add in flour and salt, scraping edges of bowl as it mixes. Dough will be sticky. Taking a piece of seran wrap, fold cookie dough into seran wrap, rolling up edges so it forms a sort of ball. Wrap and refrigerate dough until firm – 2 hours up to overnight. When dough is firm, preheat oven to 325. 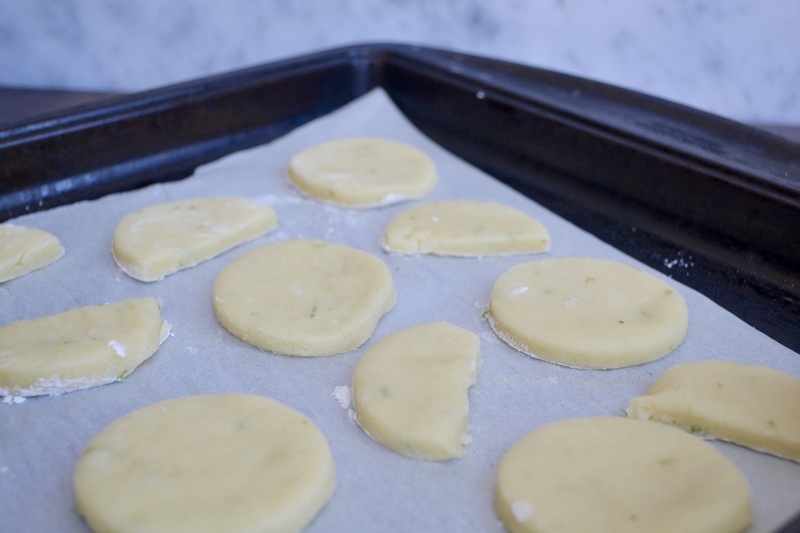 Flour your working area and prepare cookie sheet with parchment paper. Remove dough from seran wrap and start to need on floured surface with hands a bit until just softened (should still be a bit firm, just easier to roll out at this point). 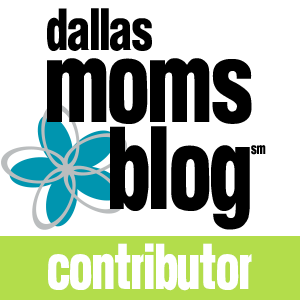 Using a floured rolling-pin, roll dough out until 1/4″ thick. 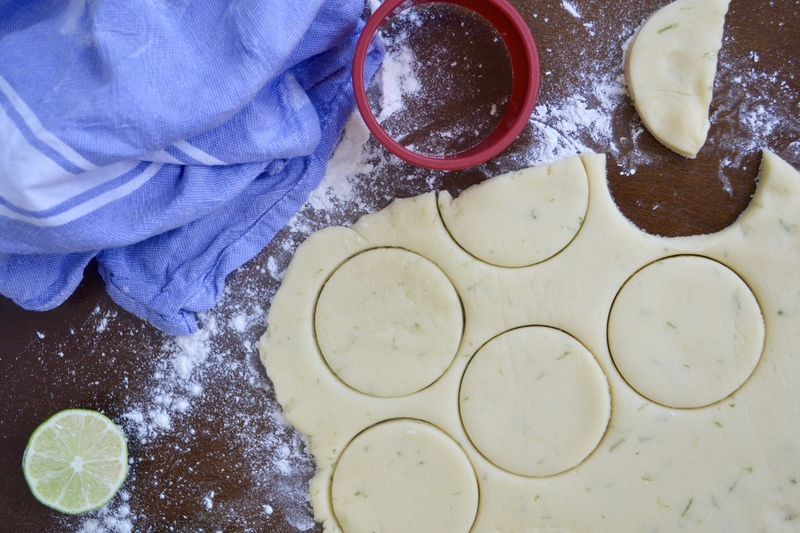 Using a 2 1/2″ to 3″ circle cookie cutter, cut cookies. 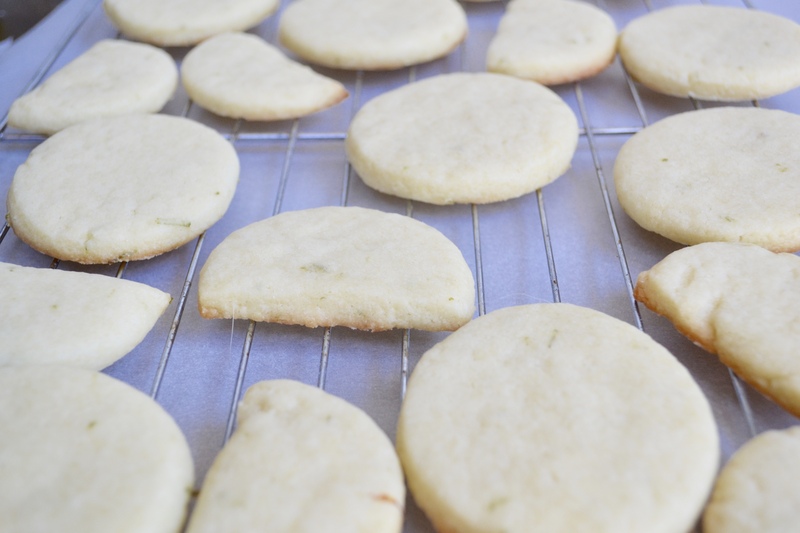 To get the half-moon shapes either cut circles in half using a sharp knife or use the edge of cookie dough to create straight edge (trimming as necessary). Roll up remaining dough into ball again. Wrap in seran wrap and refrigerate until first batch is done then repeat steps 8-10. While cookies are baking prepare glaze. Combine all ingredients (aside from food coloring) into a small saucepan and set on high. Stir until sugar is melted and bring to a boil. Let boil for 1-2 mins then remove from heat and let sit (the longer it sits the more it will thicken). At this point, if you want the green tint, add in one drop of green and one drop of yellow food coloring and mix until combined. Let cookies cool for 1-2 mins on cookie sheet before moving to cookie sheet (with parchment paper underneath). 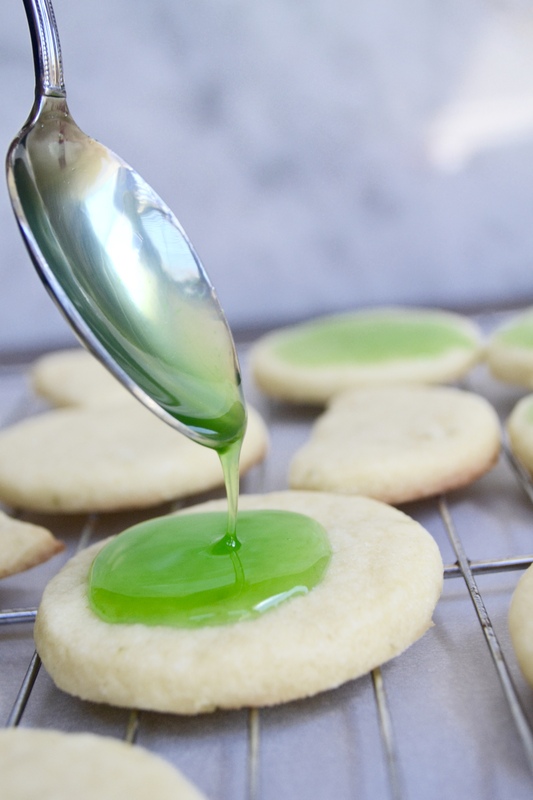 Let cookies cool completely before topping with thin layer of glaze. Sprinkle with a little bit of salt and enjoy! I used to think that I was actually a baker but your blog has taught me so much that I realize that I just like to bake. Putting wax paper under the wire rack makes so much sense, hmm don’t know why I didn’t ever do that. I also love the idea of the half-moon cookies. Thank you so much for all of your easy and yummy recipes and all of your helpful tips. Loving the half moons, they defiantly remind me of limes ! They look so delicious ! 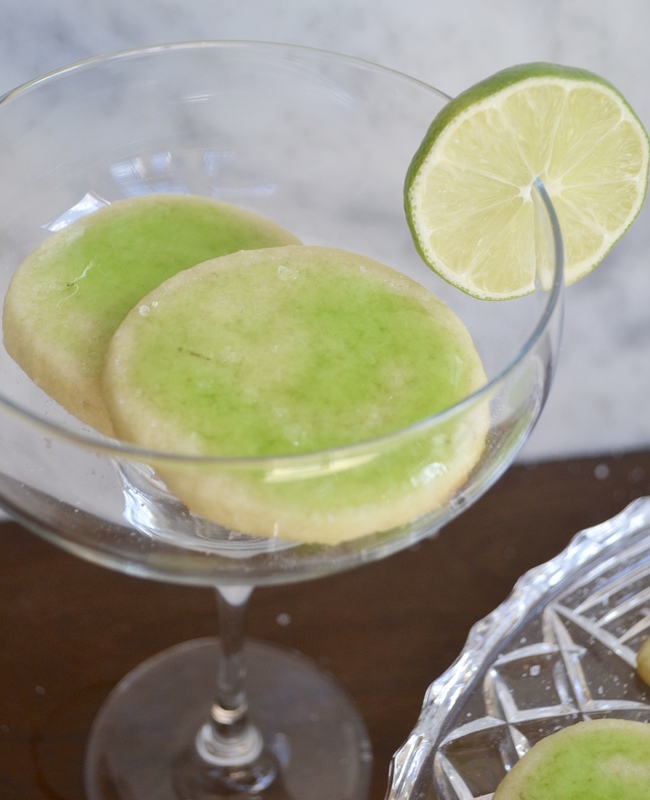 They definitely do double duty – looking like limes AND using the most of your dough 🙂 Hope you get a chance to try them out!